Biotechnology delivered a solid year in 2017, overcoming the poor performance in 2016. Multiple reasons for Biotechs to continue performing strongly in 2018. On a relative basis, Biotechs represent a good opportunity as the sector remains ~20% below its all-time high. Acquisitions may finally become a biotech theme in 2018. Many promising companies to build out a prudently diversified portfolio. Biotech stocks have had a good year so far. Not a blistering rise, but nonetheless a steady rise. Of course, one expects even stronger performance on a relative basis from a higher-risk sector, particularly when the overall market continues to record all-time highs. Perhaps such out-performance is reserved for 2018. Biotechs entered the year with a burden of a -21% decline in 2016, as represented by the Nasdaq Biotechnology Index ETF (IBB), and a shroud of drug price policy uncertainty that sapped energy from the sector. In our 2017 outlook, we had discussed a few reasons which made biotechs attractive for the year. Things turned out fairly well, keeping in mind the intensely negative backdrop at the time, as the Nasdaq Biotechnology Index rose nearly 20% as of early December 2017. This is after a 10% correction since October, which presented an attractive opportunity as was highlighted in our earlier article, Opportunity Ahead. We believe 2018 will be a positive year for biotechnology and we will witness record new all-time highs. We list our reasons for optimism below. The relentless pressure of being the whipping boy for drug price increases and the ensuing risk of drug price regulation has subsided to a significant extent for biotechs and pharmaceuticals (Biopharma). Investors may recall that both these groups have been under a cloud of regulatory uncertainty since late 2015 as highlights of egregious price increases by a few firms dominated the public and political health care debate. The industry in response has been spurred towards greater self-regulation as leading firms pledged to restrain price increases in an effort to shift the debate towards the tremendous health care benefits of the biopharma industry. And there is a lot more great science to come. Furthermore, the administration articulated its policy initiative in July 2017 through an Executive Order to reduce drug prices. Some of the strategies being pursued include process improvements to accelerate the drug approval process, as well as expediting approval of generics by updating the regulatory and reimbursement processes along with offering incentives for generic drug manufacturing. There was no attempt to create a regime of price regulation through the Centers for Medicare and Medicaid Services. In the meantime, the latest inflation report indicates that prices of medical commodities, such as prescription drugs, rose 0.6% in November and were up 1.8% from a year ago, a historically mild rise that is contributing to curtailing overall inflation in the economy. Perhaps greater awareness and self-regulation have already begun to make some early impact. At this time, drug price regulation is a diminishing risk and that too more of a political rhetoric one, which will be evident particularly around election times, than an actual policy risk. An easing of such pressure continues to assist the healthcare (XLV) sector. From the standpoint of the prevailing mindset, it appears we have come a long way from the reference by Trump of the "industry getting away with murder." Biotechs will enter 2018 with the wind in its sails, rather than an albatross around its neck like 2017 began. The US Food and Drug Administration (FDA) has been placed at the center of the price-cutting effort by the administration. This places great responsibility on the agency to drive efficiencies. The FDA has already embraced the new mandate and its actions have begun to accelerate the drug approval process. This is a paradigm change and a highly favorable one that will continue to pay dividends for biopharma. (4) Breakthrough Therapy programs are both focused on reducing the duration of clinical trials. In a research article titled, FDA’s Expedited Programs and Clinical Development Times for Novel Therapeutics, 2012-2016, published in JAMA, it was indicated that a median time for development in any of these expedited programs was 7.1 years compared to 8 years for a non-expedited drug. Shrinking the timeline, even by a few months, can mean earlier patient relief and saving millions in new drug development and healthcare costs. Since May 2017, the FDA under the leadership of Commissioner Scott Gottlieb has focused on streamlining the approval process and pursuing the initiatives outlined in the Executive Order. In late June 2017, the FDA announced a strategic plan to eliminate the existing Orphan Drug backlog of ~200 drugs within 90-days, as well as responding to new requests for such a designation within 90-days of receipt of the application. 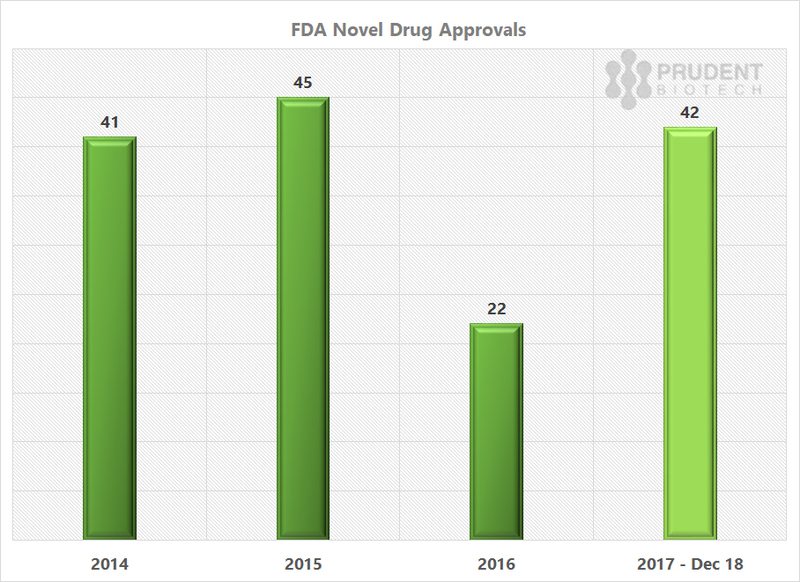 The FDA new or novel drug approvals for 2017 are much ahead of the 2016 pace, and similar to what was achieved in 2015 and 2014. In June, the FDA took steps to increase generic competition by releasing a list of pharmaceuticals with expired patents and limited or no competition, as well as prioritizing the review of abbreviated new drug applications (ANDAs) for which there are fewer than three ANDAs approved. In a blog post in October, Commissioner Gottlieb outlined new measures to promote development and accelerate the approval of generics for complex drugs. Furthermore, to be more responsive, the agency has embarked on a program to strengthen the recruitment effort to hire the appropriate clinical and scientific expertise rapidly. All the above suggests a new urgency to revamp FDA processes and increase competition to drive lower prices. While speeding up the generics will put pressure on pharmaceutical margins, the faster new drug approvals place the pharmaceuticals and biotechnology sectors in a highly favorable position. Acquisitions - Compelling Reasons But Limited Action. The wave of generics is coming, and that doesn't bode well for pharmaceuticals and larger biotechs. The FDA is engaged heavily in streamlining processes and accelerating approvals to usher in further competition. Generics approvals in the first two months of the agency's new fiscal year, which begins October, were up over 50% compared to last year. In addition, faster new drug approvals would also mean earlier than anticipated competition for original compounds. Competition is already affecting product growth and profit margins, as can be seen by recent earnings reports from Celgene (CELG), Gilead (GILD), Biogen (BIIB), and Alexion Therapeutics (ALXN). The recent stance of the FDA Commissioner Gottlieb on complex generics is suggestive of a broader shift ensuing at the agency, whereby besides maintaining the focus on safety and effectiveness, the agency is now also keenly working towards broader access to healthcare through increased competition. "I consider access to medicine a matter of public health. If consumers are priced out of the drugs they need, that’s a public health concern that FDA should address...we’ll advance more new policies to help bring more competition to other aspects of the drug market. We’re just getting started. Drug access is a matter of public health concern." The pharmaceutical and larger biotechs find themselves in an environment of intensifying competition and margin squeeze faced even by their portfolio of reliable moneymaker drugs in the past. The clamp squeeze will remain relentless and the larger players now have to rely even more on innovation to create new revenue opportunities. Innovation can be internal as well as external, in the form of partnerships and acquisitions. In the large biopharma's quest to expand product pipelines, the biotechnology industry represents a pool of acquisition targets. Furthermore, to expand product pipelines and shore-up margins, large-cap mergers will be an attractive option within the pharmaceutical industry. This is the favorable backdrop for Mergers and Acquisitions (M&A) that exists as the biotechnology industry enters 2018. Looking back at 2017, the acquisition activity slackened up considerably. Industry dynamics will eventually force the pace of industry consolidation. Consolidators do not have the luxury of holding back now due to reasons cited above. The deficit in acquisition activity during 2017, will most likely be made up in 2018. As FDA works towards accelerating the drug approval process, it is highly unlikely to have a scenario where growing drug approvals and faster turnaround times on Phase trials are met with lower deal activity. The numerous major drug readouts in 2018 will further add to the count of promising and near-approval drugs. A clearer idea about corporate tax structure and treatments of various deductions and credits should augur well for deal activity in general. A planned tax break on cash hoarded outside the country can see a meaningful cash infusion into corporate balance sheets. It is estimated that the healthcare sector has over $150 billion in cash held overseas, with large companies like Pfizer (PFE), Merck (MRK), Johnson & Johnson (JNJ), and Amgen (AMGN) accounting for well over $100 billion. However, it must be noted that not all of this overseas cash will be repatriated in case of a sufficiently attractive tax break, and furthermore, based on historical evidence, much of the repatriated cash will find its way into stock buybacks and dividend growth. "We will continue augmenting our pipeline through value-creating business development..."
The Company followed that up with the acquisition of a small German biotech for $150 million upfront and over $450 in milestone payments to further strengthen its Keytruda franchise. Similar pro-acquisition commentary has come from Pfizer, Gilead, Sanofi (SNY), GlaxoSmithKline (GSK), and Eli Lilly (ELY), amongst others. In an environment where acquisition price tags are not relatively cheap as compared to 2016 and the first-half of 2017, surplus liquidity can provide larger firms with more flexibility and confidence to assume risks. These are some of the key drivers that suggest a more active M&A report for 2018 compared to 2017. There are some appealing areas for acquisitions like oncology, for its significant potential, and rare diseases, for the expedited drug approval programs. In addition, risk-diminished drugs approaching or receiving approvals that can strengthen existing franchises and be able to leverage a bigger marketing platform will remain attractive plug-ins. Just as a thought, perhaps Merck, which has tried to build out its RNAi franchise in the past, may find Alnylam Pharmaceuticals appealing. We will find out in 2018. Biotechnology finds itself at a point where it is showing incredible progress in beginning to unravel intractable diseases and conditions. During 2017 there were many key advancements in the frontier of biotech science, and these were significant enough to even stem the tide of high negative sentiment against the industry. 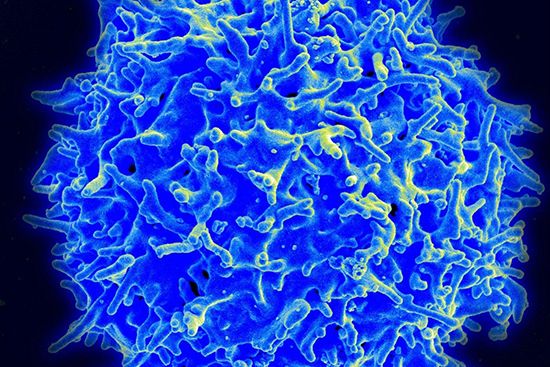 CAR-T, which stands for Chimeric Antigen Receptor T-cell, is a new kind of innovative therapy where healthy T-cells from a patient's own immune system are extracted, modified, and reintroduced in the patient to target cancer cells. CAR-T companies, which in 2016 and earlier in 2017 were hounded by concerns relating to cytokine release syndrome, managed the issue with significant improvements in safety and effectiveness leading to first-time product approvals. The first FDA approval has ushered in the beginning of an era of personalized medicine. The promise is much greater than just suppressing and managing the disease, but combating to actually cure it. Novartis (NVS) received an FDA approval for a CAR-T drug Kymriah in August, followed by Kite Pharmaceuticals' CAR-T drug Yescarta in October 2017. Kite was acquired by Gilead a few weeks prior to the approval. Some of the other players pursuing success in CAR-T therapy include Bluebird (BLUE), Juno (JUNO) and Cellectis SA (CLLS). Bluebird announced outstanding results last week at the American Society of Hematology ((ASH)) exposition. Cellectis, which has an allogeneic CAR-T product called UCART19, and Juno's JCAR017 product, also announced positive results at the same conference. It has to be noted that in the case of CAR-T, the FDA, with its renewed focus on accelerating new therapies to market, had to consider an approval for an innovative new therapy with solid data, but untested in advanced and broad clinical trials typical of a drug approval process. The FDA demonstrated great foresight and understanding in approving the two CAR-T drugs. The first gene therapy milestone application was filed in the first-half with the FDA for Luxturna, a drug developed by Spark Therapeutics (ONCE), for a rare retinal disease triggered by a gene mutation. 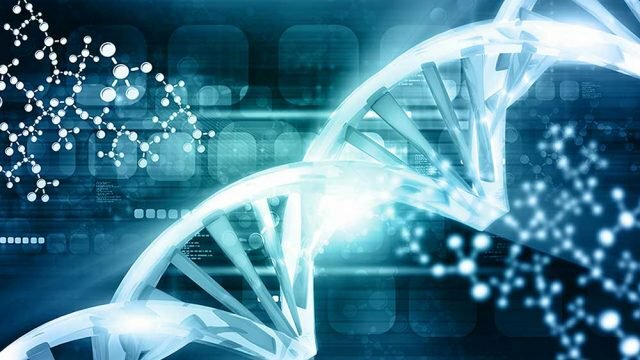 This morning, the FDA announced approval of the first-ever gene therapy treatment, which will insert a correct copy of a gene to create a missing protein. A historic achievement marking the beginning of newer treatments to evolve around gene therapy. In July 2017, Vertex Pharmaceuticals (VRTX) disclosed impressive data on its triple combination regimen to treat cystic fibrosis. The strong efficacy, particularly in lung capacity, was remarkable and if the trial results are replicated in Phase 3 it may provide relief to 90% of the cystic fibrosis patients besides expanding into a significant multi-billion opportunity for the Company. We are looking at overpowering a serious malady of the respiratory system. 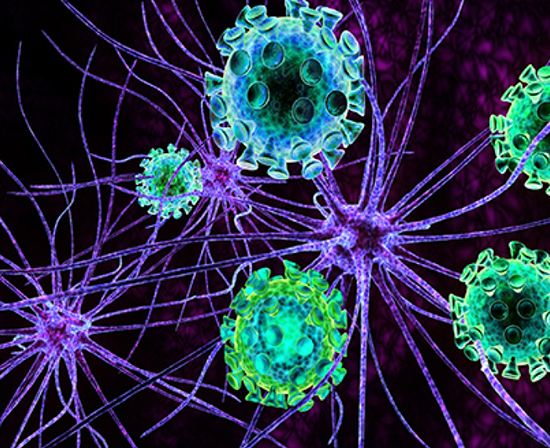 In September 2017, a drug being developed by Alnylam Pharmaceuticals (ALNY) to target a rare nerve disease had outstanding Phase 3 results. The drug, Patisiran, uses RNA interference, RNAi, to mute a gene expression before it builds the errant protein, and will be the first ever RNAi product approval when it occurs in 2018. This is a milestone event for biotechnology and the field of RNAi research which has held out great promise for two decades but has not had much to show for it in terms of approved drugs. 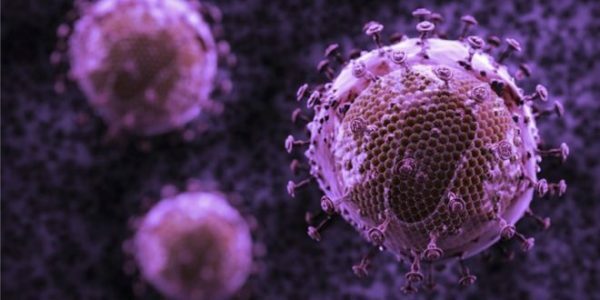 Gilead Sciences, which is known for overpowering the Hepatitis-C disease, will be rolling out its next HIV treatment after an expected approval in February 2018. The drug, Bictegravir, a 3-drug cocktail with a much stronger safety and efficacy profile in combating the virus, is expected to further bolster the Company's $10 billion HIV franchise, and reach blockbuster status rapidly with projected annual revenues approaching $5 billion in 5 years. Breakthrough and novel science combined with a faster drug approval process create a valuation enhancing environment for biotechs. There is a healthy appetite for biotechnology. A reliable gauge of biotech risk averseness is the state of biotechs in the IPO and Venture Capital ((VC)) markets. Both are showing record levels of activity and interest, suggesting a healthy appetite for assuming the biotech risk. VC funding for biotech companies hit an all-time record, surpassing the previous high of $7.3 billion set in 2015. As of October 2017, over $9 billion had been invested in startups and early-stage life sciences companies. In September 2017, 23andMe raised $250 million in the largest venture cap financing for a genetics company. Google (GOOG) is an early investor in 23andMe, a genetics testing company. Also in September, Amazon's (AMZN) Jeff Bezos and some other investors participated in a $150 million funding for Unity Biotechnology, which is focused on developing drugs that soak up the senescent cells in the body that accumulate over time and contribute to aging. 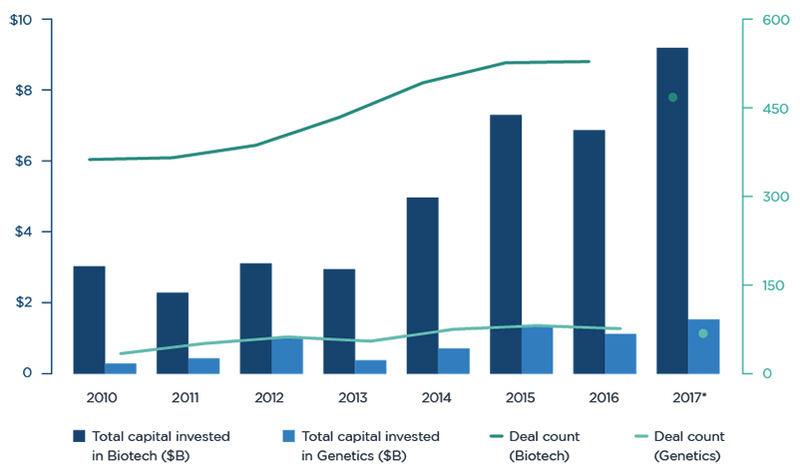 The venture capital groups are attracting more funds dedicated towards biopharma, and are well-funded to maintain the momentum in private biotech investments. 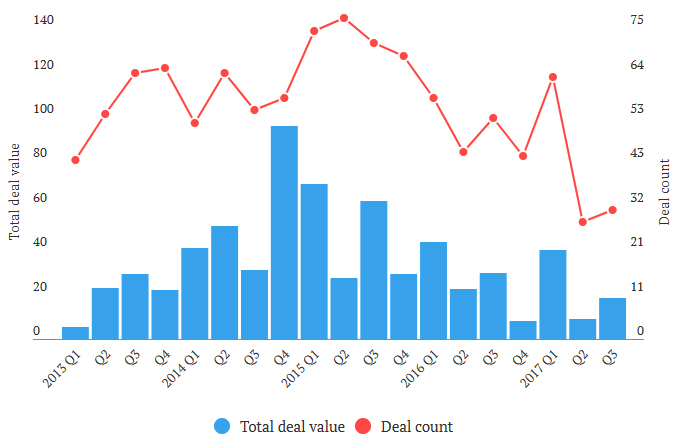 An attractive IPO market is also allowing VCs to create liquidity events and reinvest the proceeds further in biopharma early stage companies. There is a healthy ecosystem in place for biotechs, which suggest a robust appeal for biotech risk. 2018 - The Best is Still To Come! Biotech is not an easy sector to invest in. It can be enticing and punishing at the same time, as the risk of failure is high. The Biotechnology Innovation Organization, an industry group, estimates that 95 percent of the oncology drugs that enter clinical trials fail. Investors have to be prudent to distribute the risk in a speculative biotech portfolio, and even then setbacks will occur. But that is no reason to ignore biotechs. The opportunity is real. Today, biotech is one of the rare industry group that has not yet made a new all-time high over the last 12 months, and on a relative basis can be considered cheap. It remains 20% below the high achieved in mid-2015, as represented by the Nasdaq Biotechnology Index. We believe the midcap and smallcap stocks with promising products, as evidenced by data, and which are advanced in the approval cycle, have an additional benefit of being potential acquisition targets. Data readouts on major trials is always an opportunity to catalyze the sector. The first quarter and the first-half will be rich with such data readouts on key trials. Some of these include the Bristol Myers (BMY) 2200-patient Phase 3 study (Checkmate 227) for small cell lung cancer, which measures its key drug Opdivo combined with another of its drug. After a setback last year for Opdivo against Merck's Keytruda, this readout assumes great importance for Bristol Myers' cancer drug franchise. Merck is running numerous combination trials of its leading drug Keytruda, and one such trial is with an Incyte (INCY) drug where an important readout occurs in the first-half from a 700-patient melanoma study (Keynote 252). Vtv Therapeutics has an important readout for its Alzheimer's drug Azeliragon from an 800-patient Phase 3 study (Steadfast). Esperion Therapeutics' 350-patient Phase 3 trial (1002FDC-053) is expected to read out by mid-2018 for a cholesterol-lowering pill which combines its Bempedoic Acid with Merck's Ezetimibe. Strong results with cholesterol reduction from the combination in the region of 50% can make it seriously comparable to the expensive PCSK9 inhibitors from Amgen and Regeneron (REGN) which deliver ~60% reduction. As of the beginning of December 2017, the biotech benchmark IBB was up +19% and the Prudent Biotech Portfolio was up +33%. We believe biotech stocks in 2018 will deliver double-digit returns of around 20%, with a +/- 5% variance. It is our anticipation that the first-half will be better than the second-half due to general market factors which will be discussed separately in our stock market outlook report. One has to keep in mind that the overall market has a higher probability of a normal correction going forward, and that will affect biotech stocks too. Be prepared for sharp volatility. Any serious systemic shocks like the geopolitical crisis or the Mueller investigation or a sudden acceleration in the pace of interest rate increases may revise the expectation. While such a forecast is more of a general guidance, what is much more important is for investors to seriously consider a portfolio exposure to the biotech sector through a basket of promising companies, and manage the risk. A few of the attractive biotech stocks, with a bias towards mid cap and small cap, include Alnylam Pharmaceuticals, Vertex Pharmaceuticals, Sage Therapeutics (SAGE), Nektar Therapeutics (NKTR), Exact Sciences (EXAS), Zogenix (ZGNX), Spectrum Pharmaceuticals (SPPI), Anaptysbio (ANAB), Dynavax Technologies (DVAX), Insmed (INSM), Blueprint Medicines (BPMC), Sangamo Biosciences (SGMO), Loxo Oncology (LOXO), Esperion Therapeutics (ESPR), Arena Pharmaceuticals (ARNA), Juno Therapeutics (JUNO), Halozyme Therapeutics (HALO), Mirati Therapeutics (MRTX), Revance Therapeutics (RVNC), and Abeona Therapeutics (ABEO), amongst many more. Sector exposure can be acquired as well through heavily diversified ETFs like IBB and S&P Biotechnology Select (XBI). In addition, there are much higher-risk, leveraged ETF options (LABU) (LABD). Once again, take a portfolio approach to overcome mistakes.